1:55 PM – Christmas is right around the corner. Members of our families are rushing to get gifts for their kids and family friends. If you're in the market to get the Google Nexus 5, then you may want to hurry up and order it from Google. 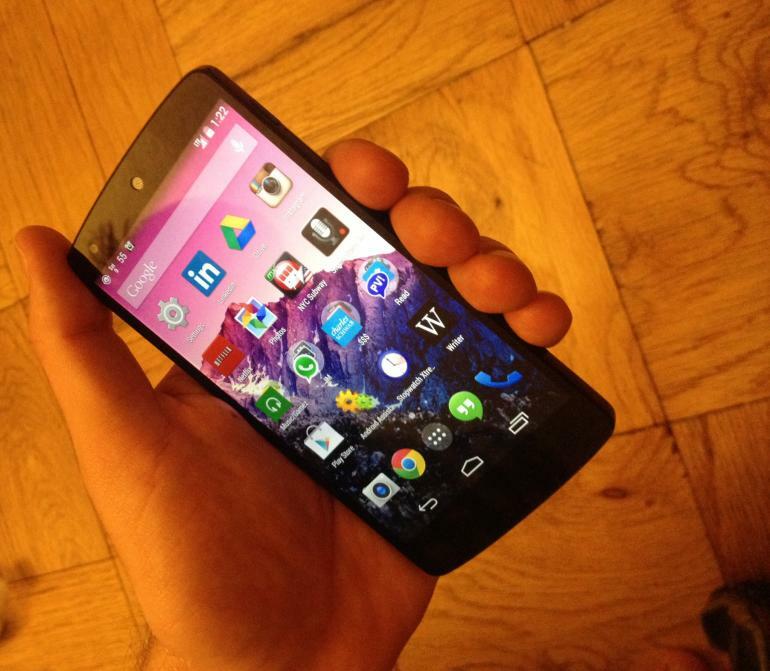 The Google Nexus 5 has been one of the most anticipated phones of 2013. Upon its arrival, Google ran out of its initial stock very fast, and has not been able to make the phone available to customers since, until now. The Nexus 5 (LG built) brings several things to the table, especially the pure-Android experience that we all love. Other Android manufacturers load their smartphones with themes on top and their own bloatware that it brings about a bad experience. With the Nexus 5, you will get a clean, sleek and pure look of true Android, with top notch hardware to support it. For the time being, Google is offering new orders to be placed for either the black or white 32GB model. The smartphone will ship within 1-2 days. Those of you who are looking at the 16GB model will have to wait 2 to 4 weeks before you can get it. You can cough up a couple extra bucks and order the 32GB. Google Nexus 5 has top notch hardware. It comes with 4.95-inch display with full HD (1920x1080p) resolution and has pixel count of 445 ppi (pixels per inch). It is protected by Corning's Gorilla Glass 3. It also has the Qualcomm Snapdragon 800 quad-core processor, with 450MHz Adreno 330 graphics, 2GB RAM and 16GB/32GB storage options. Software wise, it comes with latest v4.4 KitKat OS. For picture-taking addicts, it has a decent 8.0-megapixel main camera with OIS (Optical Image Stabilization) and HDR +, full HD video recording, photo sphere with 360-degree view and a 1.3-megapixel front-facing camera. So get the Nexus 5 while you can!